We have recently wrote a post on snacks for parents on-the-go for the Maternal Sidekick. 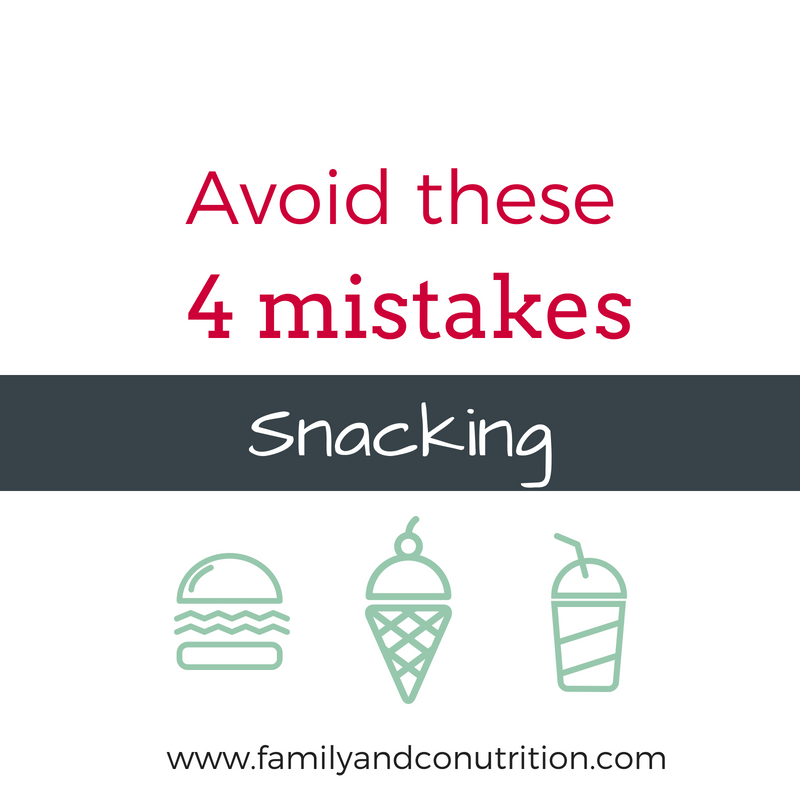 Following that, here are the 4 most common mistake concerning snacking! Packing a lunch is a must for parents who work and kids who go to school. If you have a meal planning and prepping strategy, congrats! It is the first step in regaining control over your kitchen. In addition to the main meal, include snacks in the lunch box! Sure, grabbing a leftover container from yesterday’s dinner is better than no lunch at all, but if you don’t pack snacks, you will get to a point in the day where you will crash. And we don’t want your only option be to sip on water or lurk around the vending machine. Same for kids, would you send them with only a sandwich? Probably not. You would pack lots of side items. Why not do the same for yourself? 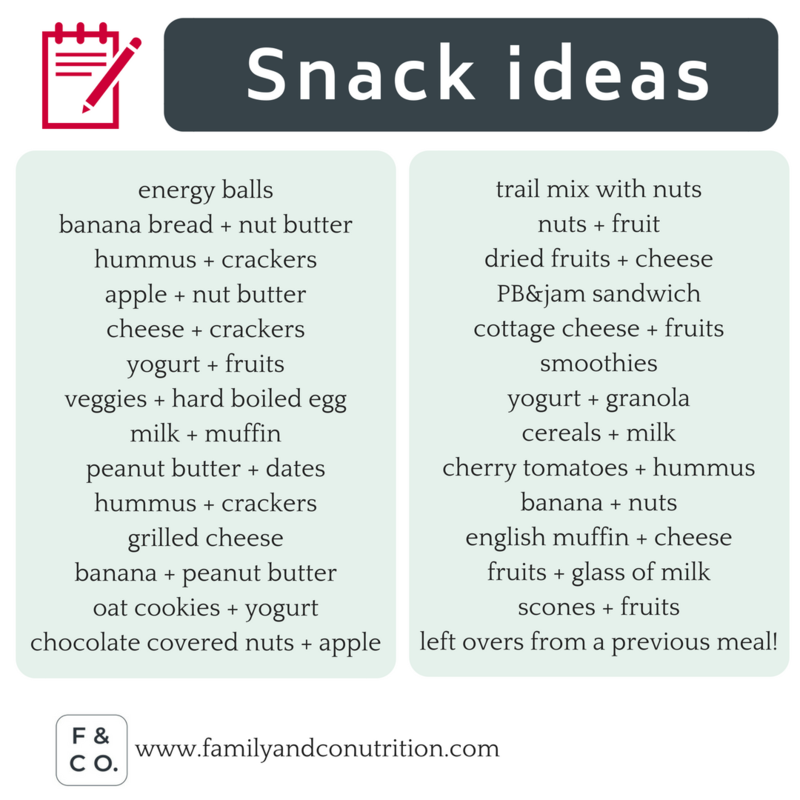 So here is a list of snack ideas to pack in your lunch box. 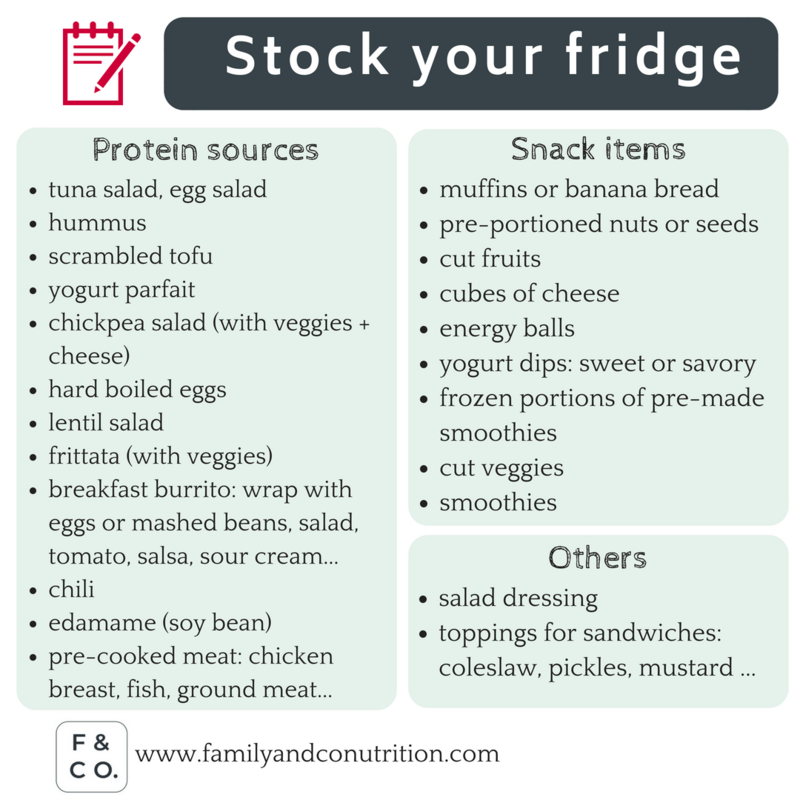 Pack a full lunch that includes a main meal and several snacks. Skipping meals is likely to lead to craving, low energy, binge eating, and poor food choices. So let’s be wiser here, and structure some meals and snacks throughout our days. Now, some people are snackers and others are happy with 3 bigger meals with no snacks. Respect what your body is telling you. That is exactly the key… We are not telling you to eat when you are not hungry just because “you are supposed to eat regularly”. Rather, we encourage you to actually listen to your body and be ready to feed it when it is hungry! If breakfast is too early and you (or your child) is not hungry, fine. Pack a snack or grab a breakfast-to-go (snacks ideas up there). Eat later. We know that school and work schedule can be a lot to work around, but in a magic world, you would eat when you are hungry, regardless of the time. If that is not always possible, having at least some snacks packed gives you opportunity to eat something sustaining when you have time. Same with lunch – some people much prefer having several “snacks” than a heavy meal. It is true for a lot of kids. No problem with that. 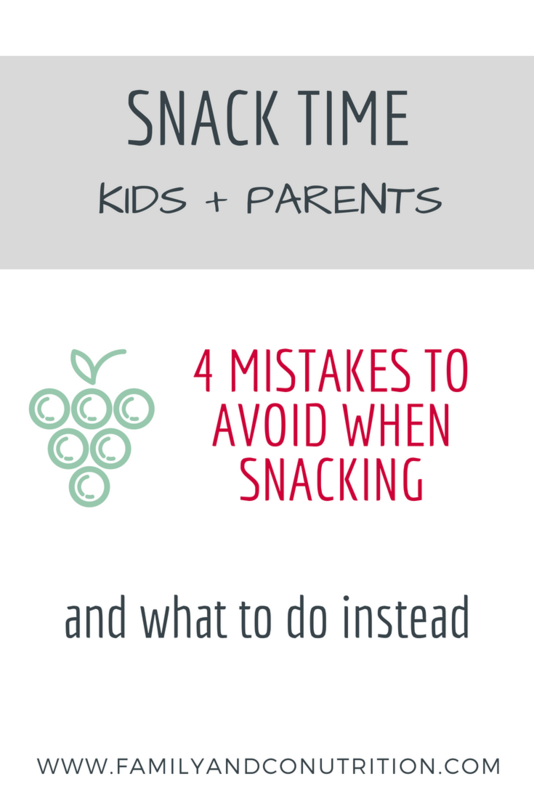 Pack yourself (and get your kids to pack) a lot of various snacks. Stock your fridge with easy to grab and assemble items. Some people are snackers while others prefer 3 bigger meals. Both are okay, do what you feel is right for you! 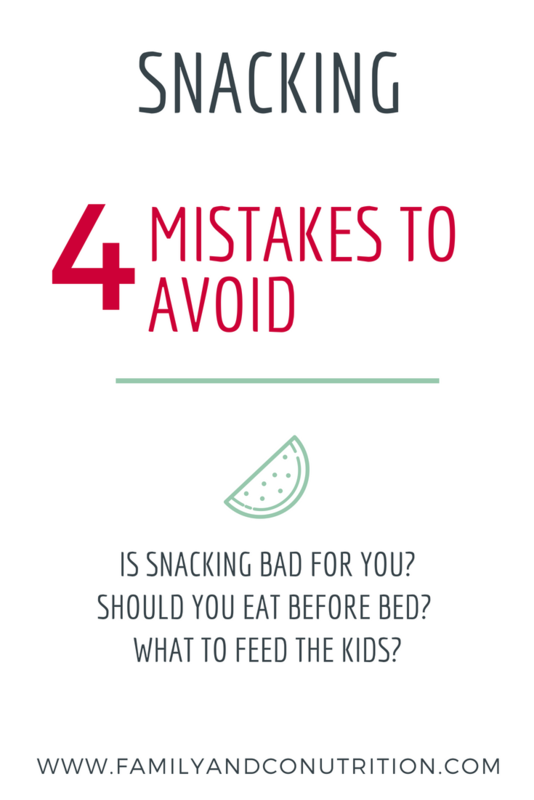 It is a good idea for kids to have a regular schedule around meals and snacks for various reasons. Compared to adults, kids have small stomachs that can store considerably less food at a time! Offering food every 2-3hours is then recommended as they will get hungry a few hours after eating their portions. On top of that, having regular eating occasions give them a chance to learn to respect their hunger and fullness cues. If they are not hungry at that specific moment, they know that food will be offered in a couple of hours and that there is no reason to eat if they are not hungry. Regular meal schedule also bring a feeling of security knowing that food is offered regularly, supporting their growth and providing energy all day. Not need to over-eat and make reserve. 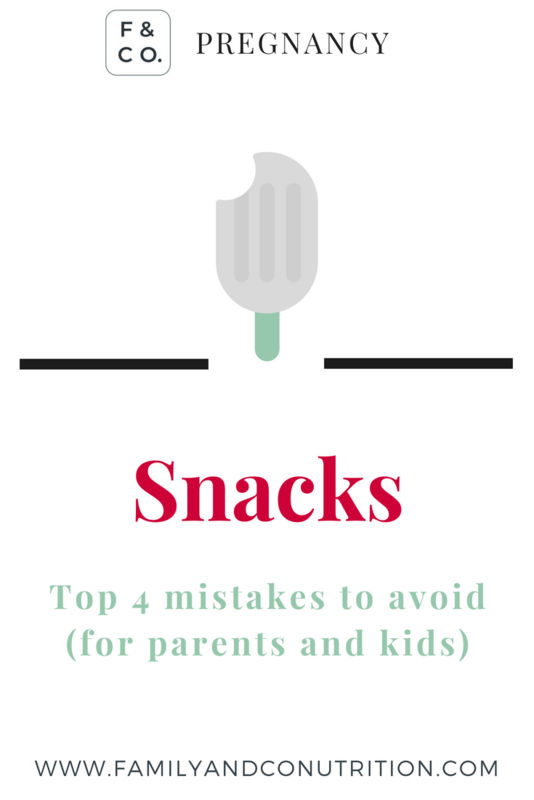 The golden rule: where do snacks fit? Aim for 3 meals a day and snacks in between while following the golden rule. 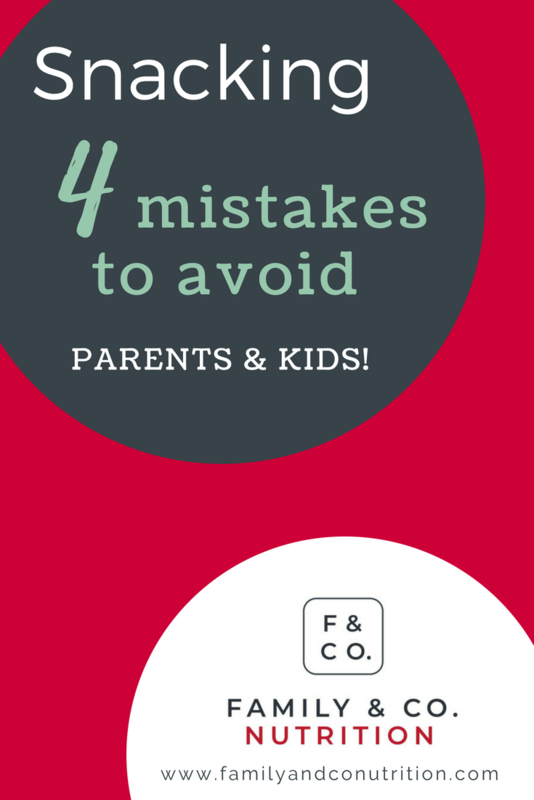 You decide when, what, where to eat, and your kids decide if and how much to eat. Eating should be the activity, and not done while completing something else. Focussing on eating gives a chance to your kids to be in tune with their body and to stop when they are full. It also prevents choking as they are calm and sitting down, while you have an eye on them. 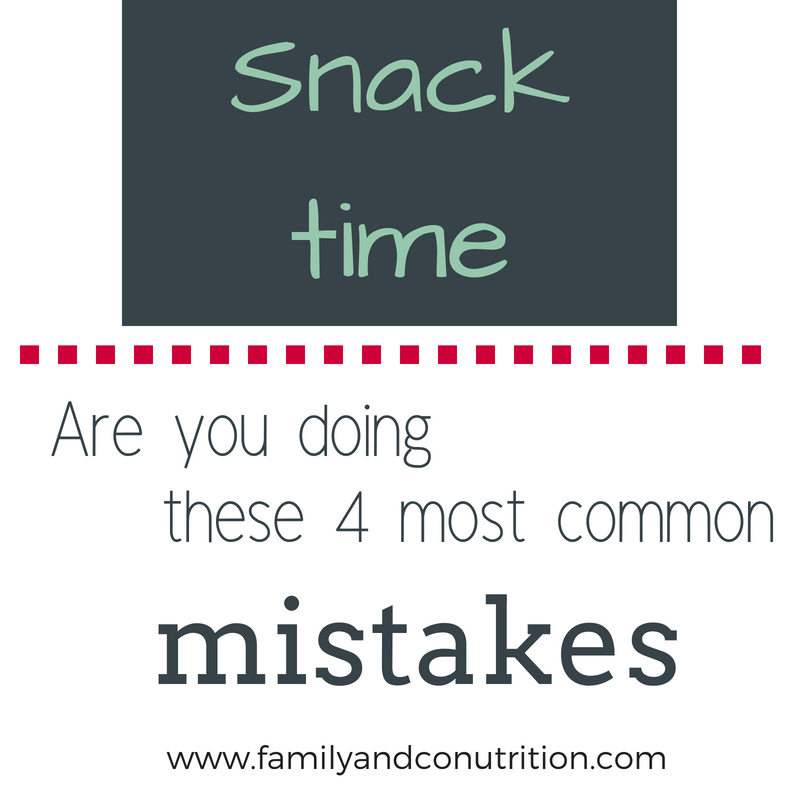 It can be difficult to envision that in our current lifestyle of on-the-go busy families, but really, snacking would take 15minutes… Do you have 15 minutes for snack time every 3hours? 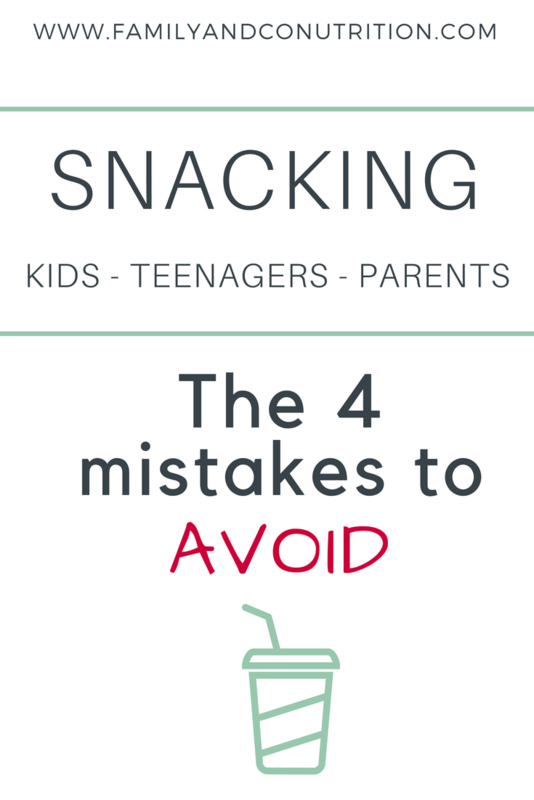 Taking the time to sit and have a snack will also limit the constant munching that can be detrimental for kids. 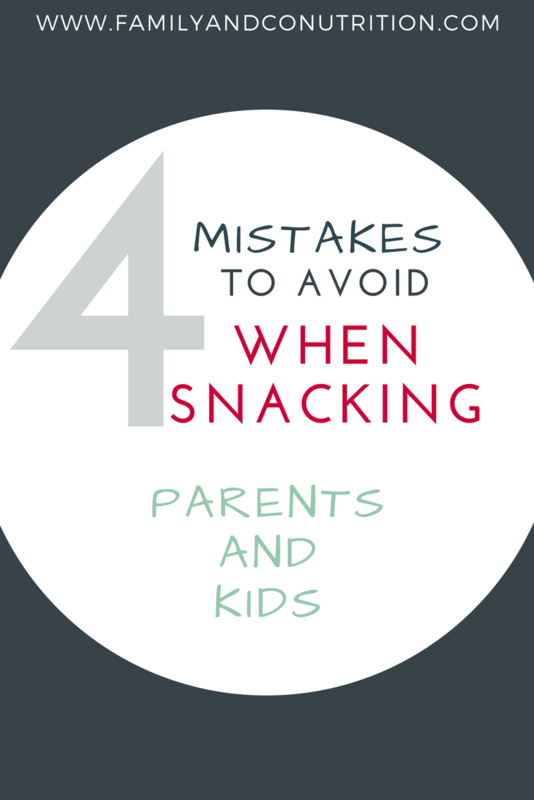 Snacks are taken in between meals, while seated and are a deliberate choice of foods. 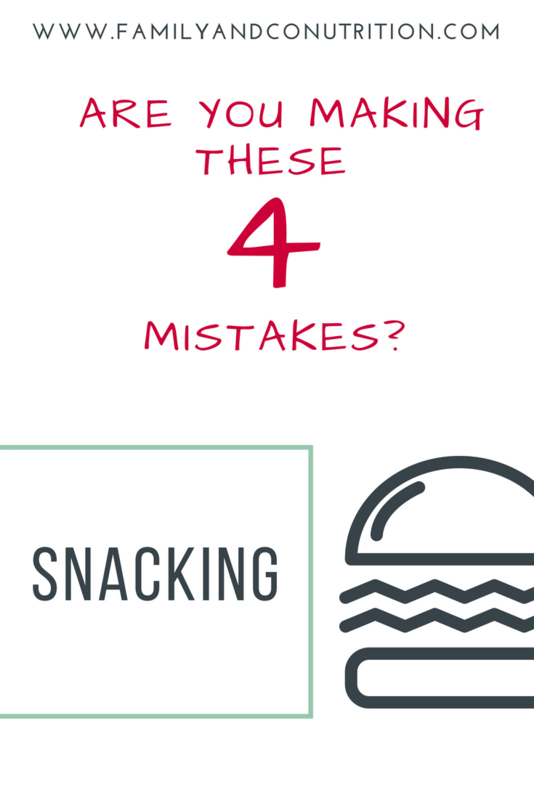 Munchies are taken on the go while doing something else, are often not the best food choices and are often consumed not to curb hunger. If you let kids munch all day long (something as you leave the daycare, something in the car, something when you’ve arrived home, something as you prepare the meal, something right after the meal… before you know your full time job is catering services operator! ), they are likely to not be hungry for the main meals. They also are potentially gonna eat more than they need to. Are they eating because they are bored? Because they saw the food and were curious? Because they are sad, angry, stressed? Because they wanted your attention? Because it is a social activity? …or because they are truly hungry? A snack should serve the main purpose of curbing hunger. Sure it has to taste good, be nutritious, be practical, be affordable…but if there is no hunger, there is no need for a snack. Munching doesn’t seem to serve the same purpose as a snack. 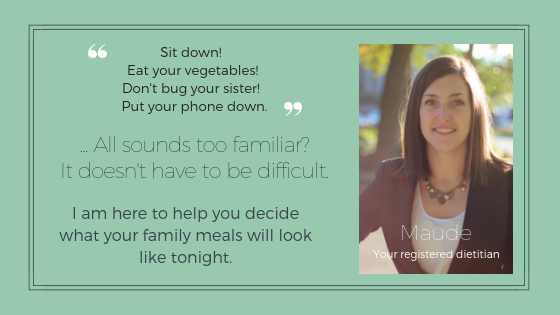 As the parent, you provide a schedule so that your kids know when to expect food. This way, they have the option to eat if they are hungry or not, respecting their appetite. And if you don’t want them to snack on certain items that you feel are not appropriate, remember that you are the one buying the food in the first place. Be wise with your food selection, so that it is easy for you to offer nutritious snacks because they are the default choice in your house! A regular meal and snack schedule serve several purposes for children: It keeps them energized, but it also reassure them that food is offered regularly and that they should listen to their body to decide if they are hungry or not. 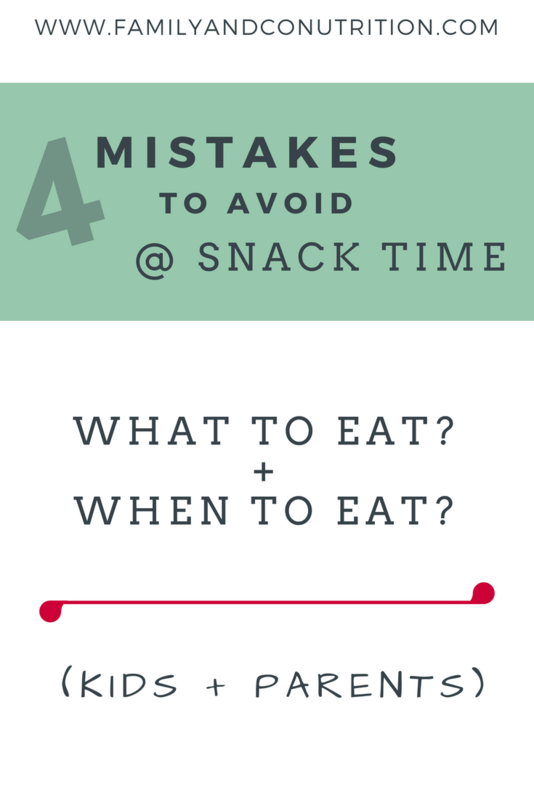 Not eating when you are hungry is potentially the worst mistake you can do. Why would you not honour your body’s cues to eat? If you think it is how you will lose weight, it is sadly not that straightforward. So many factors influence our body weight, and food intake is definitely one, but only one of many. You have the power to make good food choices, but you don’t have the control over your weight. 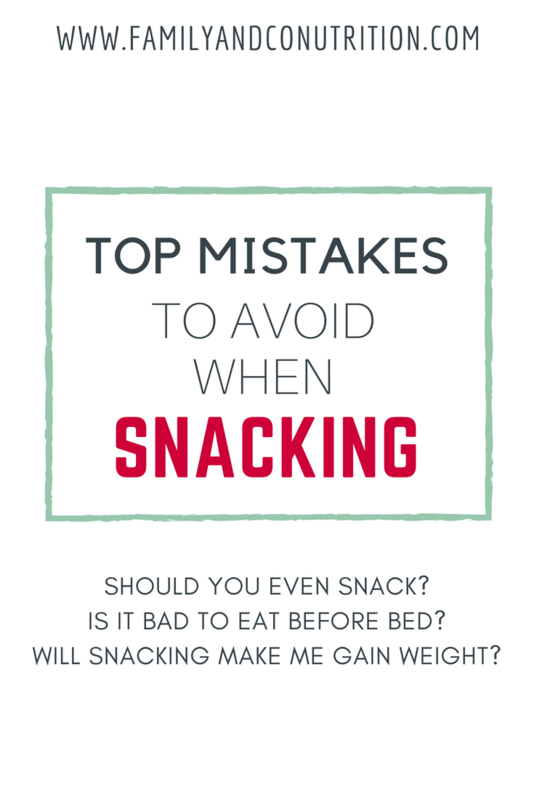 If you think you will gain weight if you eat snacks at night, it is again not as simple. Again, you have the power to make good food choices, and if you are hungry (whatever the time of day), you should eat. 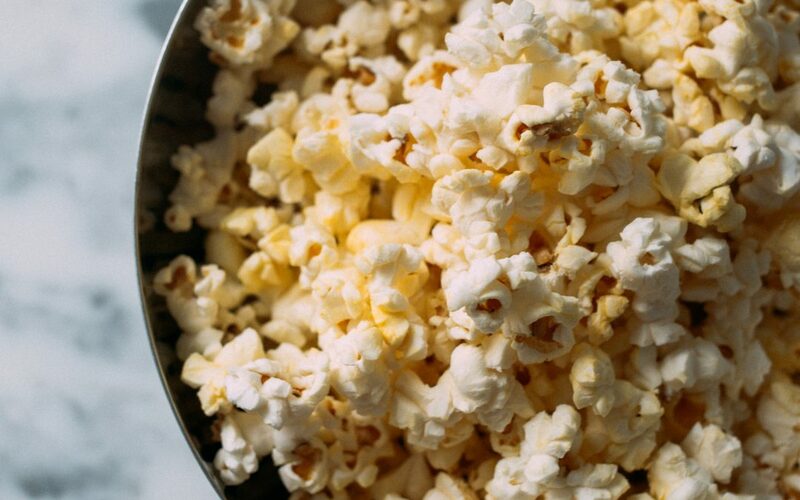 Snacking at night as a bad rep, because we often are snacking in front of the tv, with foods that are highly transformed and we don’t necessarily pay attention to our fullness cues. The context is more problematic than the action of eating itself! If you think you will avoid eating these “banned” foods by not snacking at all, how long before you give in? All food are okay to eat. No food in itself will make or break you. So let’s lift the ban on certain foods, because anyway science shows that restriction leads to cravings, obsession and potential binge-eating. Allowing yourself all foods will likely reduce the frequency at which you consumme them, because you will not be only thinking about that chocolate bar that you are not allowed to eat. Instead, eat that bar, enjoy it fully, and move on with your life. Controlling the food intake never seems to be the solution. Instead, let’s put our energy on adopting behaviours that will honour our bodies and all they can do for us! A body that is hungry needs to be fed. Period. Now everyone is different. Some people are snackers and eat almost 6 little meals per day. Other are mostly satisfied with 3 meals. Are you a snacker? If so, plan your snacks ahead! Snack attack! What are your favourite snacks?